All music excerpts are from Amir’s new recording on Pi Recordings, Crisis. 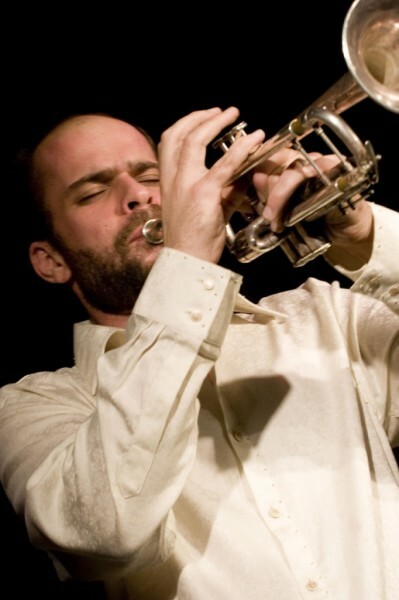 Samy El Bably, Trumpeter from Egypt. Hamid Al Saadi, Iraqi maqam vocalist. Ziad Rahbani, Lebanese pianist and composer. Amir also mentions the poet Ibn Arabi, one of the great Sufi mystics. Info on him at Wikipedia and Ibn ‘Arabi Society. The loved ones of my heart, where are they? By God, tell me, where are they? will you show to me their reality? and yet I feared to be amongst them.